Tradespeople with the Construction Related Occupation (CRO) skills card are being warned that the cards currently in circulation will expire at the end of the month. CRO cards cover a host of ancillary construction posts, but crucially you don’t need an industry-relevant qualification to hold one. The deadline has been imposed as part of the construction industry’s drive towards full qualification. Alan O’Neile, Construction Skills Certification Scheme Head of Communications said: “In early 2015, the Construction Leadership Council announced that skills certification card schemes carrying the CSCS logo must only certify those occupations with nationally recognised construction related qualifications, i.e. NVQs or approved equivalents. 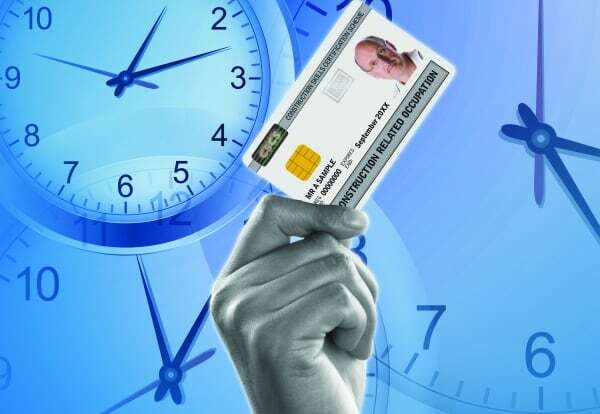 The withdrawal of the CRO card will mean many holders will be required to register for existing or newly developed qualifications before their cards expire. Others will be transferred to one of CSCS’s Partner Card Schemes that are more suitable for their trade. For some, where their occupation is not construction related or no suitable qualification exists, a CSCS card will no longer be issued. CSCS Chief Executive Graham Wren added: “The withdrawal of the CRO card is a practical step towards achieving the CLC’s requirement of ensuring nationally recognised qualifications are in place for all occupations. “The 30th September is fast approaching however, together with our industry stakeholders, we have been preparing for the withdrawal of the CRO card since 2015.